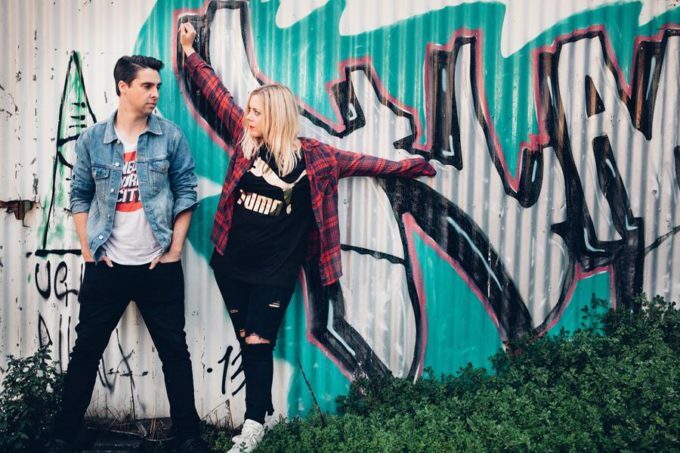 South Australian duo Nakatomi give us a little subtle reminder of the decade that was the ’80s, more specifically when your VHS player was long overdue for a head clean (young ‘uns be like… BAH? ), in the video for their debut single ‘Alive’. And brilliantly, that’s just the look that director Liam Somerville was aiming for. “It’s always fun using those old real-time machines… it’s a refreshing throwback to show how far humans have come in technology,” he says. So think heavy pixellation and effects that look as though your tape is going to get caught in the insides of your machine at any moment. But even though it’s totally ‘then’, it’s also all-so ‘now’. If ‘Alive’ is any indication, Nakatomi (aka Emily Smart and Hamish Cox) have a very shiny future ahead of them.